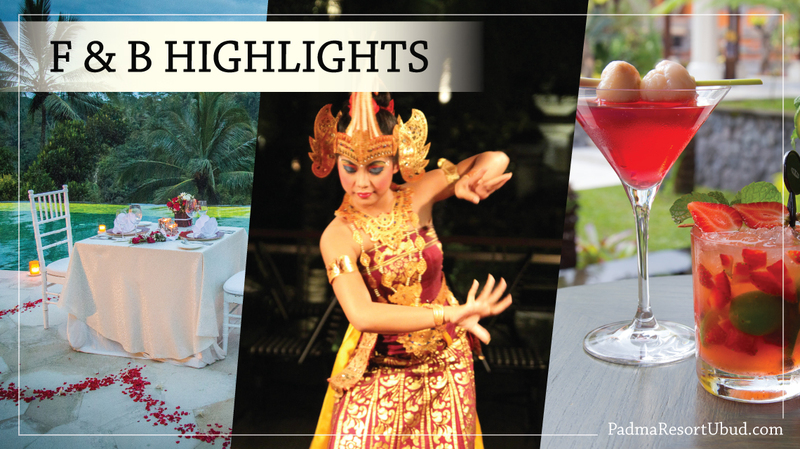 There are many ways to express your love, but a romantic dinner will always win one’s heart. 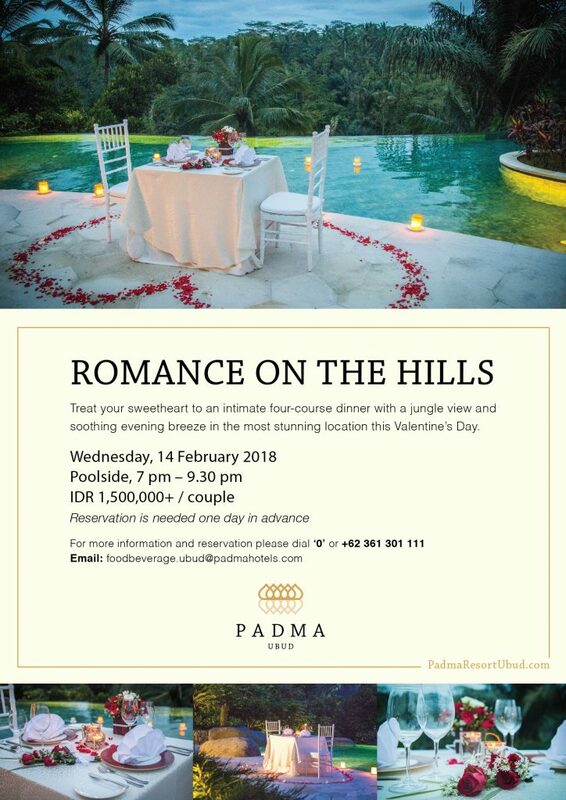 Be sure to arrange something extra special for your significant other this coming Valentine’s Day and make it an evening to remember.. 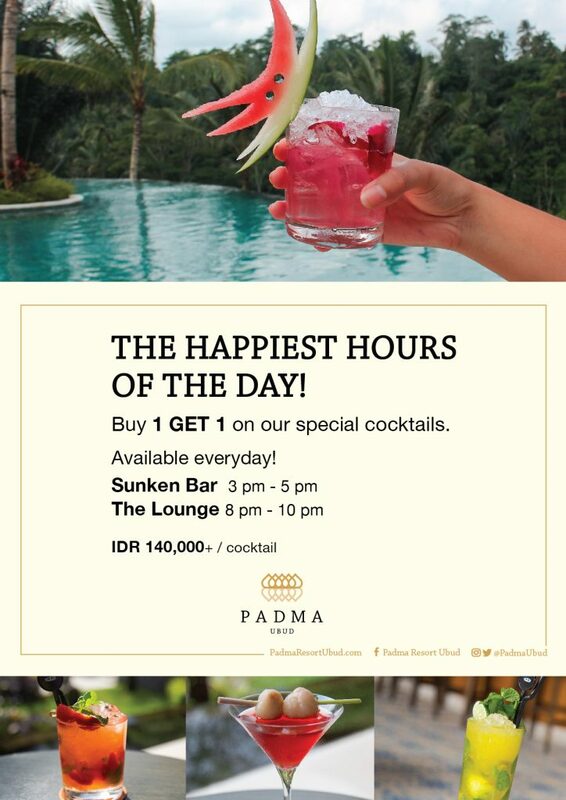 The Happiest Hours of the Day! When summer is around the corner and all you need is refreshing cocktails then this would be perfect for you to wind down the day and it’s everyday, yas! it’s everyday! 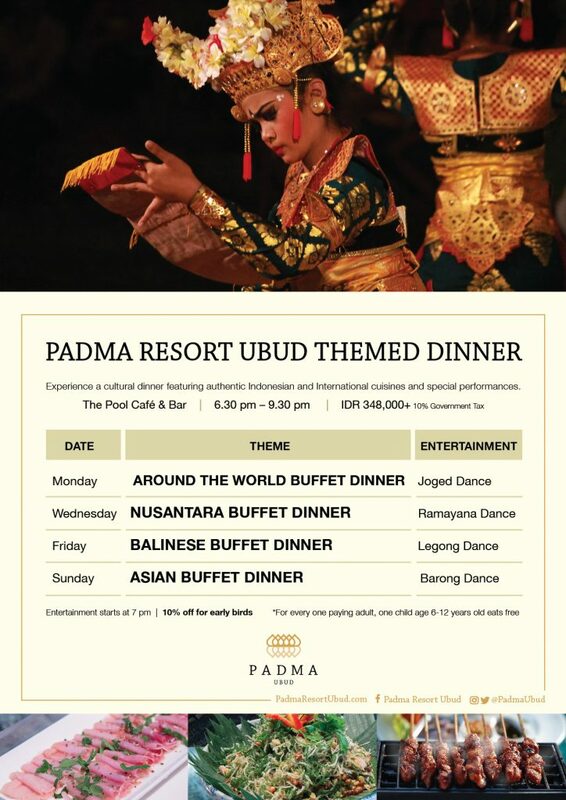 Experience a indulgent dining in a very dreamy spot in Padma Resort Ubud accompanied by the dramatic Balinese performances.